Material: Food grade silicone (FDA SGS Approved). Used: The lollipop mold could be used in freezer, microwave, oven and dishwasher safe. 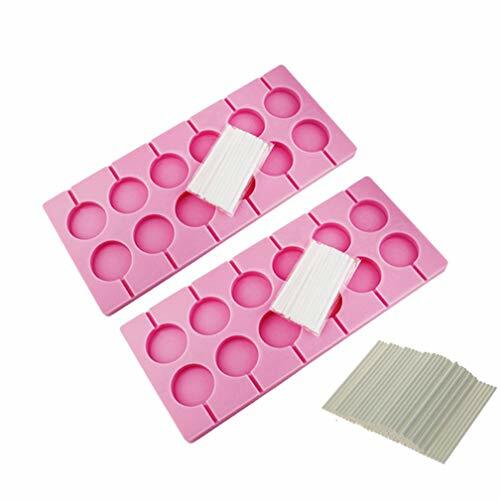 Features: Natural non-stick surface and easy to clean; can be folded and easy to store in drawers.